We want to make the appealing, wonderful person of Jesus Christ real so that our children also desire to follow Him. And He (Jesus) said to them, “Follow Me, and I will make you fishers of men.” Immediately they left their nets and followed Him. Getting to church can be tough. At Hope Chapel, our goal is to make Sunday mornings easier by offering fun, age appropriate Bible lessons and worship for children through fifth grade. Maybe your kids will start bringing you to church! 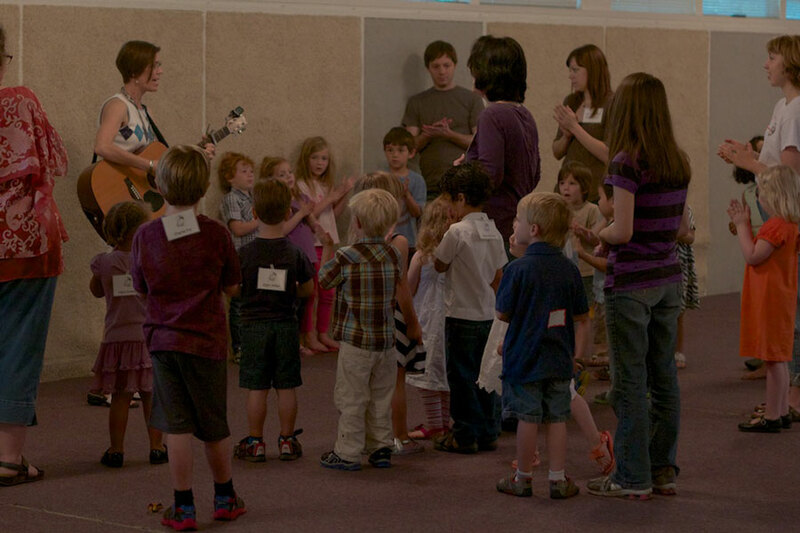 Hope kids worship with parents and worship with age-appropriate songs and activities, depending on the season. When you arrive, a greeter will let you know where to take your children this week. Our classes are taught by wonderful adults who love Jesus and kids. Our goal is always to reinforce the teaching that children are receiving at home about God's great love for them and to show them how wonderful it is to follow Jesus. While adults are engaged in small groups, children ages birth through fifth grade are cared for by skilled workers. Our teachers present fun Bible lessons each week, but you don’t have to sit still for long: there is always time for running around and outside play. Children also have Bible lessons and fun while their moms are studying together. Hope Chapel sponsors a Good News Club at Brentwood elementary school during the school year. We meet on Thursdays from 2:50 PM until 4 PM. Come join us for Bible stories, games, gospel lessons and FUN! The Children’s Ministry Leadership Team is a group of people who have direct input into our children’s programs. Use this form if you would like more information about how to join this team.